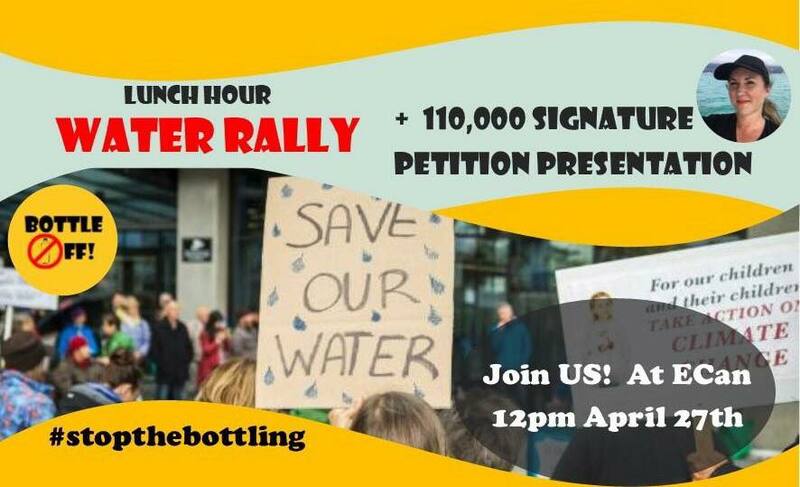 Genevieve’s anti-water bottling plants petition handover! Help us stop the huge quantities of pure aquifer water from being taken from our region, by Cloud Ocean Water and Rapaki, and tell ECan to Revoke the Consents! Cloud Ocean Water is a water-bottling business preparing to operate within the former Kaputone Wool Scour located in Belfast, Christchurch.